Thanks to letter-writer Kenneth Campbell for "Salmon Have a Dam Problem" May 1 in "Our Readers' Views." He credited fishery scientists for knowing what goes on between salmon and dams. I can attest to this. As editor of the last revised master plans for Columbia and Snake River dams, I worked with highly professional federal fish biologists. At that time, the Corps of Engineers and Congress focused more on adult salmon moving upstream to spawn rather than on salmon moving downstream and facing more recent predation by pike minnows and bird colonies. No sea lions then. 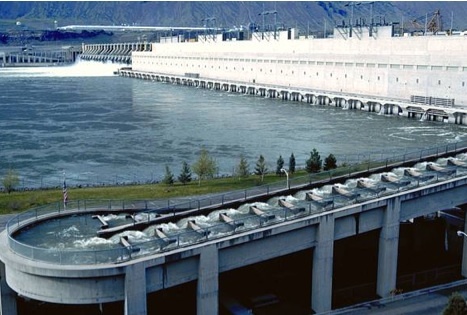 Despite the aid of fish ladders, only one in 10 salmon ever found the ladders at each dam. Out of every 1,000 salmon making it to Bonneville Dam, only 100 found the ladder. Of that 100, only 10 made it through The Dalles Dam. Of that 10, only one made it through McNary. It takes thousands of salmon for even a small number to get through to Ice Harbor, Lower Monumental, and Little Granite dams. Statistics were so discouraging that political pressure forced oversight to go over the biologists' heads by trying to substitute fake statistics to show salmon were doing well.